If you’ve never heard of Tajikistan, there isn’t much you need to know before deciding if it’s right for you. It is a land of rugged beauty, towering peaks, and large, picturesque valleys. 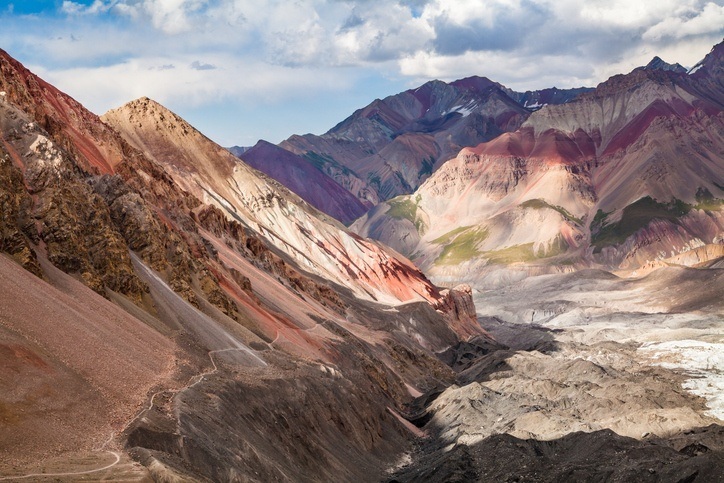 Whether you’re into hiking or just natural wonder, Tajikistan will have something that’ll enchant you. Want to learn more about Tajikistan? 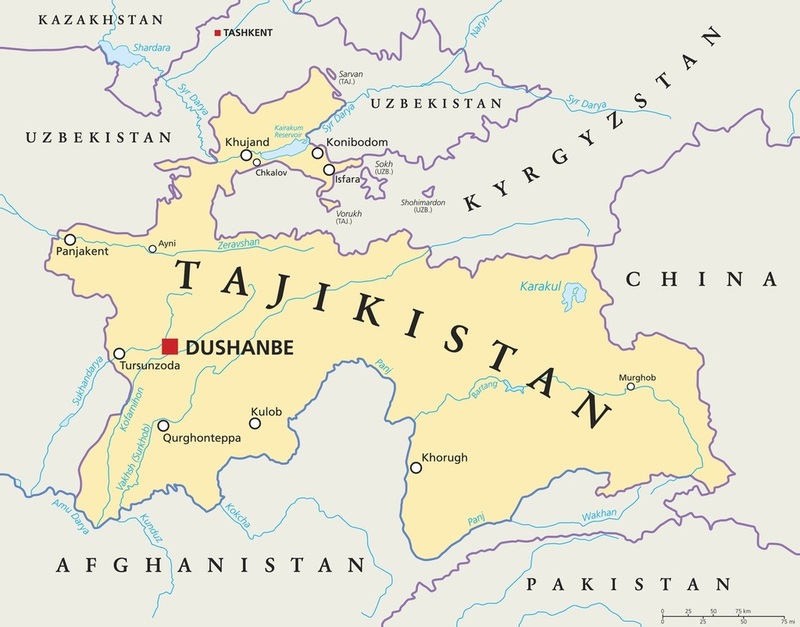 Tajikistan is located in Central Asia. It borders China to the east, Kyrgyzstan to the north, Uzbekistan to the west, and Afghanistan to the south. Pakistan is located to the south as well, separated by the narrow Wakhan Corridor. When is the best time to visit Tajikistan? 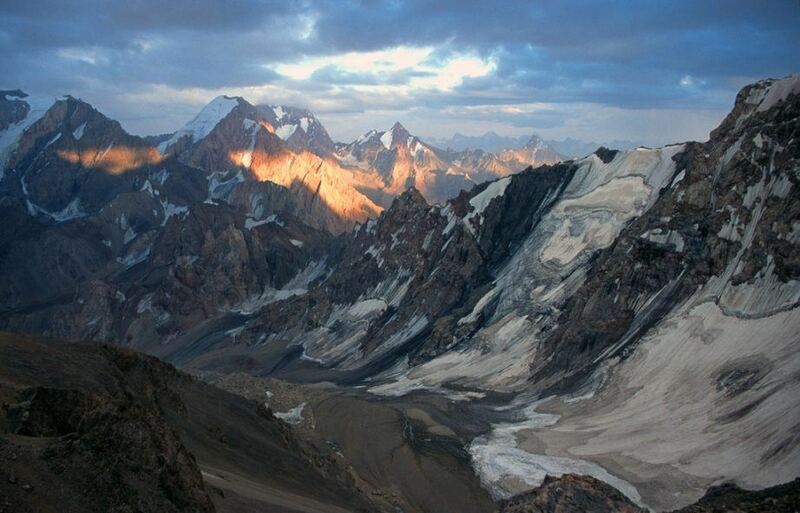 Spring to fall is a good time to visit Tajikistan. 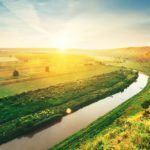 It can get pretty hot in the cities and other lower regions during the summer, but if you want to head up into the upper reaches of the mountains, this is the time to do it. A round trip flight between Toronto and Tajikistan can be anywhere from $2400 to $2800 Canadian, depending on your final destination. Be sure to shop around and see which city you want to fly into, or look into some nearby countries as well. Buses and taxis are available in some cases, but can be limited. Overall, it might be a good call to rent a 4WD vehicle or share one when visiting. 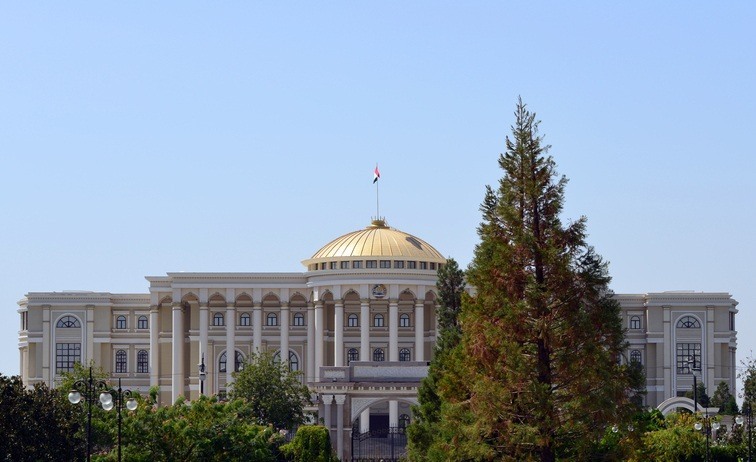 Dushanbe, Tajikistan’s capital, is a place of contrast. Largely Soviet in nature, recent years have seen development and a changing cityscape in parts. 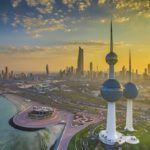 Indeed, this does make the central part of the city an interesting one to visit – not least due to some good museums. While there is next to nothing to see outside of downtown, you should find Dushanbe an overall peaceful and relaxing place. It’s not the most exciting capital in the world, but there are much worse places to greet you on the start of your journey. 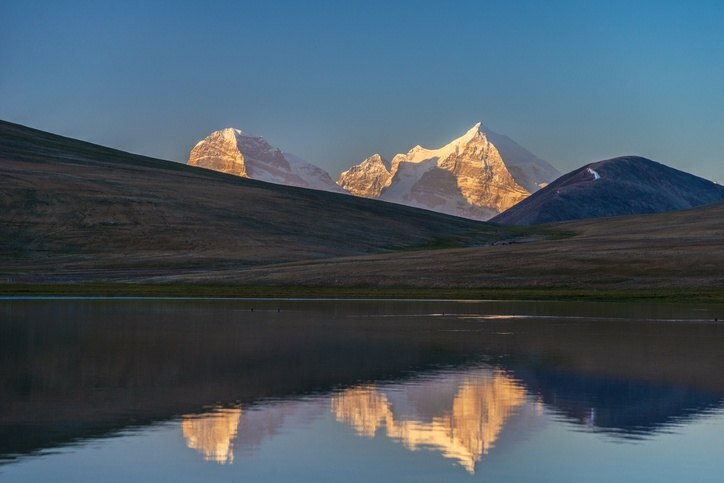 The crown jewel of Tajikistan and the reason you should come here; there is only so much we can say about the Pamir Mountains. The massive range covers much of eastern Tajikistan (the province of Gorno-Badakhshan specifically). People are few and far between (though you will find traditional villages scattered throughout), but the land is so beautiful and impressive that you’ll be thankful for no one getting in the way of the views. The mountains here are towering, however the valleys in between the peaks are just as picturesque. Khorog serves as the largest population centre and a good base from which to set out. The Pamir Highway is a mountain road that is a can’t miss excursion for adventurous drivers. All told, we could go on forever listing the sights and sounds you’ll come across in the Pamirs. At the end of the day though, this is the part of Tajikistan you’ve been waiting for. 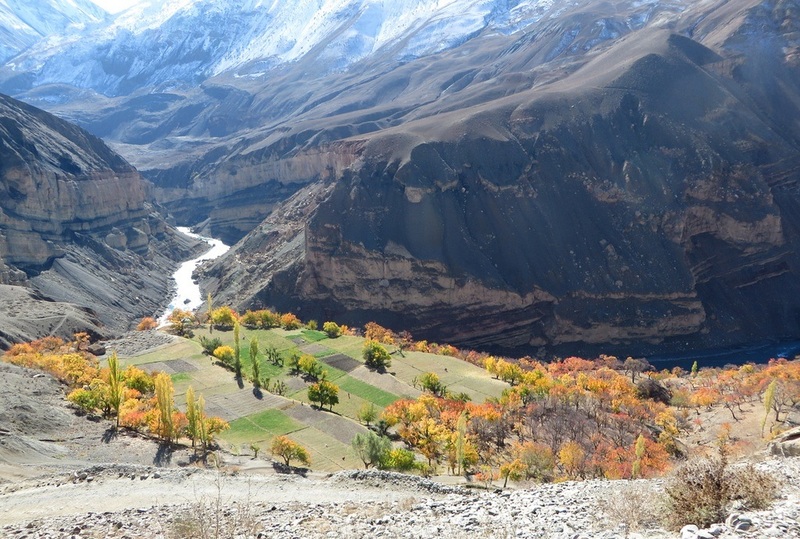 On the edge of the Pamirs begins the Zeravshan Valley; so named for the river that cuts a deep gorge through rugged mountains, wilderness, and fertile lands. 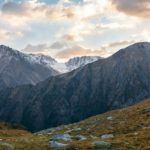 The magnificent Fan Mountains are likely to be the first thing you notice here, but simply traversing the sometimes barren landscape will surely quench your thirst for adventure. Tajik and Russian are both widely spoken throughout the country. English is fairly rare so you’ll need to brush up on some phrases before going. Once you arrive in Tajikistan, you’ll find that it is a pretty cheap place to visit. An average day should cost around $24 Canadian with a budget of $13 for accommodation and $7 for food. You could even keep costs down closer to $17 a day if you’re thrifty. While there is no nationwide advisory for Tajikistan, you should exercise a high degree of caution throughout due to crime. In addition, all non-essential travel should be avoided to the borders with Afghanistan, Kyrgyzstan, and Uzbekistan – due to an unstable security situation involving drug smuggling and more. The security situation elsewhere is fairly stable these days, though armed violence (both political and criminal) has occurred. You should also be aware of petty crime throughout. Be very careful on the roads, as some conditions make travel dangerous. Bring supplies with you, as you cannot always rely on gas stations. Local practices and vehicles can also be dangerous. For more on travel safety, check out the Canadian Travel Advisory for Tajikistan. You can learn more about Tajik history and culture in the Country Profile as well as the Tajikistani somoni with our Currency Spotlight. For more information, check out the official Tajikistan tourism site.